Looking to boost your breakfast? Need some extra energy in the morning to help you get the best start to your day? 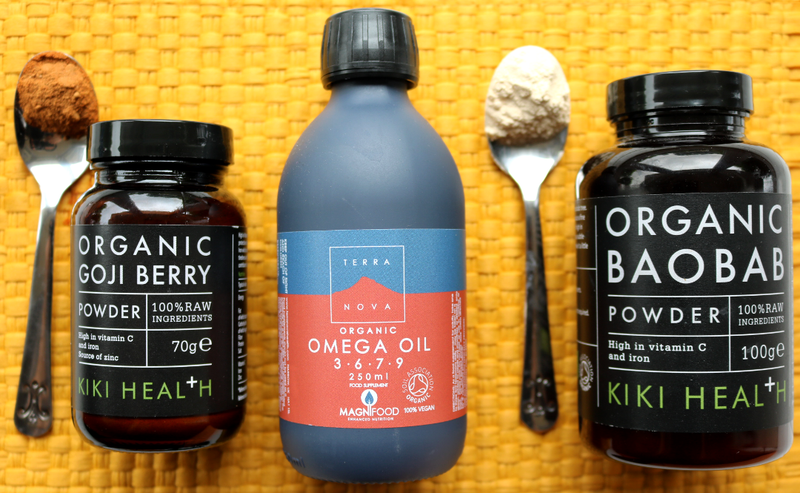 These three organic food supplements are super easy to incorporate into your everyday diet. 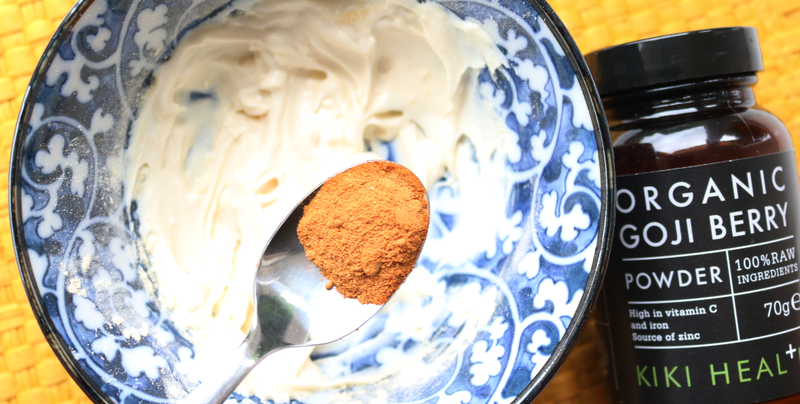 Baobab is one of my favourite superfoods. Why? Because it tastes a bit like lemon sherbert! 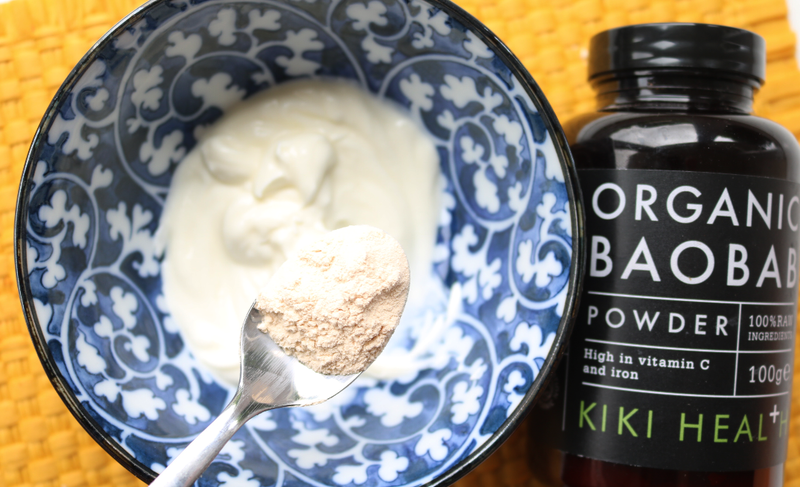 Sustainably harvested and derived from the fruit of the African Baobab tree, this raw wholefood is finely milled into a powder that's easy to consume. Baobab is high in Vitamin C and Iron which helps to keep your immune system and metabolism healthy, as well as reducing tiredness and fatigue, plus it's a source of dietary fibre. This one from Kiki Health is also certified organic and doesn't contain any additives, fillers, artificial colours or preservatives, or any other ingredients. How To Use It: Stir a teaspoon into your favourite yoghurt or porridge, sprinkle onto cereal, or add to smoothies and juices. You can also add it to plain water as it tastes pretty good! I'm sure many of you reading this will be aware of the benefits of consuming Goji Berries, as those little red superfruits have been incredibly popular over the past couple of years. As the name suggests, this Goji Berry Powder is a nutritionally dense and concentrated form of Goji Berries which have been freeze-dried at low temperatures to retain their delicate enzymes and nutrients. This powder contains high levels of Vitamin C, Iron and Zinc, which are all essential to keeping your energy levels up, maintaining healthy bones, supporting brain health and keeping your immune system functioning properly. How To Use It: Add a teaspoon to smoothies, juices or yoghurt. Goji Berry Powder isn't as tart as actual Goji Berries, and it's something of an acquired taste with a slight bitterness to it. I'd recommend trying it in a smoothie first! One of the problems with the typical Western diet that most of us consume, is that it's excessively high in Omega 6, but seriously lacking in Omega 3. Too much Omega 6 can lead to higher blood pressure and an increased risk of heart attacks and strokes, so it's important to get the balance right and make sure that you're consuming a better ratio of essential Omega fatty acids. One easy way to do this is to cut out a lot of processed foods that contain sunflower and vegetable oils (and don't use these for cooking with either), and you can boost your health further with a daily supplement in the form of a blended oil like this one from Terra Nova. 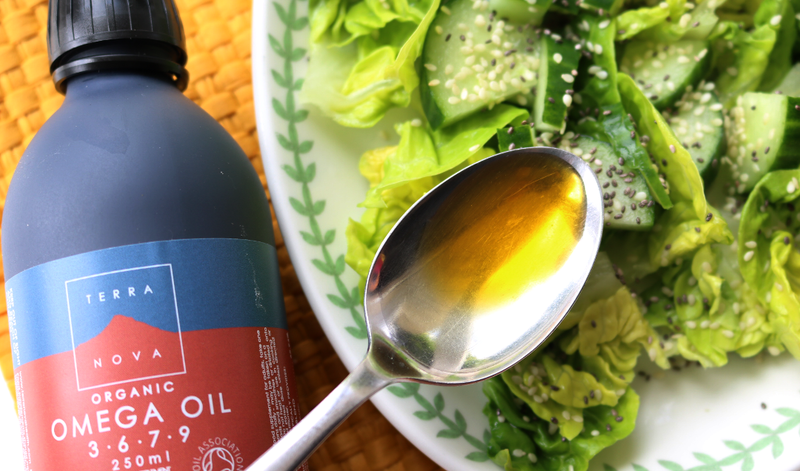 This Organic Omega 3-6-7-9 Oil contains an expert mix of Flaxseed Oil, Hemp Seed Oil, Olive Oil, Borage Seed Oil, Rice Bran Oil, Sea Buckthorn Fruit Oil and Sea Buckthorn Kernel Oil, so you get all of the benefits of your Omegas which are essential for heart health (and pretty much everything else! ), without the imbalance issues. How To Use It: Take 1-3 teaspoons daily. You can drizzle it onto salads, add it to smoothies, or consume it straight off the spoon, but you can't heat it or use it in frying/cooking as this destroys some of the nutrients. What are your favourite morning supplements?